Political violence, often in the form of intimidation by partisan gangs, was a common feature of American elections in the mid-19th century. Election-related rioting and even murder was not uncommon and occasionally triggered the intervention of official or unofficial militia. The election of 1860, in the areas where it was contested, was most tense in U.S. history, with four major electoral slates contenting to decide the future course of a nation which seemed on the edge of breaking apart over the slavery’s place in the western territories and the wider nation. In addition to a contest of ideas the election of 1860 was fought in the streets…sometimes literally….by partisan clubs which marched, protected political leaders, and sometime battled each other for their candidates and parties. 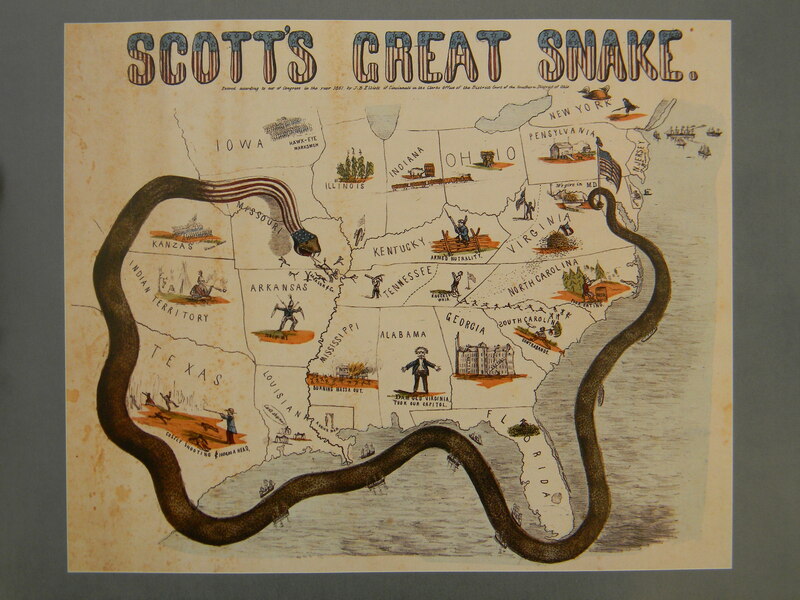 It is a common theme of the various traditional narratives of the Missouri Secession Crisis that the St Louis branch of the “Wide Awakes”, a Republican political marching club, was a major source of conflict in the tense city. 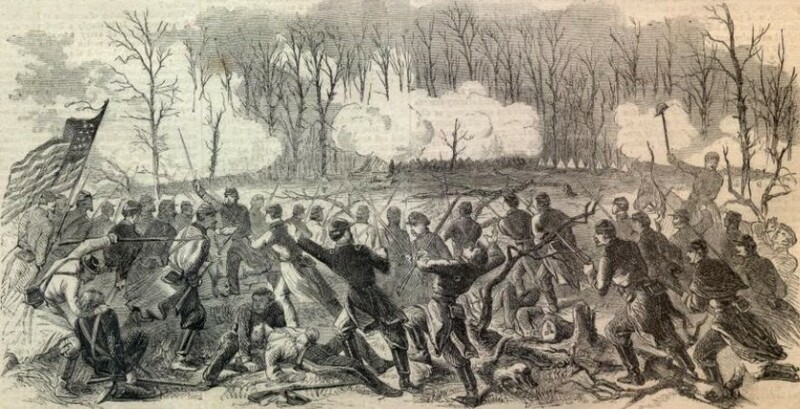 The standard narrative also holds that the Wide Awakes’ militancy helped set the stage for the May 10, 1861 arrest of the Missouri Volunteer Militia at St. Louis’ “Camp Jackson” by Federal forces, an event that helped trigger Missouri’s internal civil war within the Civil War. As with many elements of the common narratives of the Missouri Secession Crisis, this one is misleading, if not completely false. St. Louis did have “Wide Awakes”, as did most Northern cities. St. Louis was unusual though, in that it was a Southern city that had representatives of the nation-wide Republican club. The Republican Party was not even on the ballot in ten southern states (this included South Carolina which carried out no presidential balloting). In 1860 St. Louis was a boisterous and often violent frontier metropolis. It was the United States’ eight largest city, and its explosive growth had seen it double in size in the 1840s and again in the 1850s. With a population of over 160,000 St. Louis was the third largest city in any southern state (after Baltimore and New Orleans) dwarfing Richmond, and home to booming heavy industry. A flood of immigrants from the free states of today’s Midwest and foreign nations (primarily Germany and Ireland) had given the city a cosmopolitan and turbulent culture. Ethnic violence had been a serious problem….election-day 1854 had brought three days of lethal anti-immigrant rioting….and the city was one of the few places in the country where pro and anti-slavery militants co-existed (and contended) in the same political space. In St. Louis all four major political factions all has strong support, and all had organizations to provide marchers and street fighters. 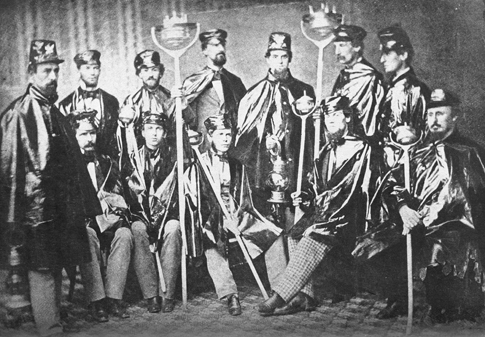 The Douglas or “National” Democrats were supported by the “Douglas Civil Guards” and the “Broom Rangers”. The “Bell-Everett” Union Party was supported by the “Union Guards”. The Breckinridge or Southern Rights Democrats had the Breckinridge Guard. And the Republicans had the “Blair Rangers” (supporters of Congressman Francis Preston “Frank” Blair, Jr.) and the local branch of the “Wide Awakes”, which in St. Louis included large numbers of ethnic-Germans openly hostile to the institution of slavery (an unusual political position in slave-holding Missouri). The War of the Roses was never more bitter that the difficulties in this city between the representatives of the two Democratic factions. On the evening of the 31st ult., all three parties [sic] – the Republicans, Douglasites and Breckinridgers- held meetings, and, about half-past 10, after the Breckinridge and Lane Democratic Club returned from Lucas Place, and had enjoyed themselves a few moments in their headquarters, many of them started on their way home. The sound of music drew most of the members of the Club to the several corners of Lucas and Fourth Streets, to see the passing procession of the Douglas Civil Guards, on their return from Biddle Market. As the procession passed the corner, the Breckinridge men raised cheers for Yancey and Breckinridge, and, at the same time, some unknown person threw a brick at the procession; but whether the outrage was committed by a Breckinridge Democrat, a [Bell-Everett] Union man or a Republican, is unknown. At this double assault, the Douglasites broke ranks, and rushed savagely upon the members of the Breckinridge Democracy standing on the corner, striking wildly with their torches and batons. The Breckinridges, however, stood their ground well, and drove the Douglas men down Locust, towards the Breckinridge Club room, when the few yet remaining in the room rushed down stairs and stopped the retreat of the Douglasites. Then was the battle at its height, rocks flew like hail stones, torches flourished like tomahawks, and those who had neither went on their muscle, striking but wildly from both shoulder and hip, making the blood fly at every blow, and often felling the recipients to the earth. The Douglas men, however, showed their discretion by a hasty retreat, amidst the cheers and jeers of the Breckinridge men. Neither party, however, had much to brag of, for many on both sides were covered with blood, had noses mashed, teeth knocked out, and several had faces badly cut. One Breckinridge man was very badly burned by being hit with a lighted torch, which covered him with camphene, and immediately his whole person was enveloped in flames. His clothes were speedily torn from his body by some who were not so actively engaged in the fight and his person removed to a drug store. We were able to learn the names of a few of the participants, and refrain from mentioning them at this time by particular request of several, who, after a moment’s reflection, were heartily ashamed of the whole affair, and did not desire any mention of themselves in connection with it. Despite the regular assaults during the 1860 campaign season, there are no reports of political murders in St. Louis (although there would be an assassination attempt against Congressman Blair after the election). The marching season and the contested result did, however, raise political tensions in the city to a dangerous pitch. After Lincoln was declared the President-Elect with a popular plurality, and the country began to spiral towards disunion, many of the members of the various St. Louis political clubs reorganized themselves into paramilitary companies in anticipation of armed violence. Once again history tells us that the “Wide Awakes” were the first to pick up the sword, and once again those histories are wrong….but that is another story.